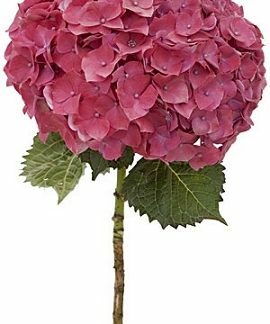 Each stem has a ‘spray’ of 4 to 7 blooms on average. 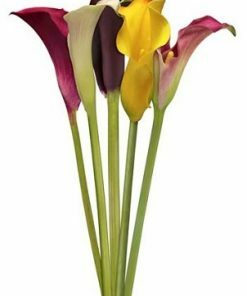 This flower is intravenously tinted using a white flower as the base. 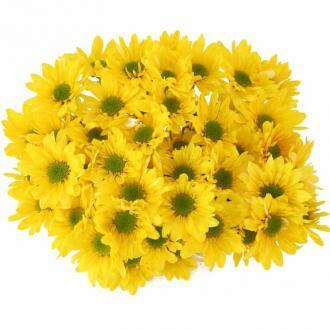 Our post-harvest team will place the bottom of the stem into concentrated dyed water. 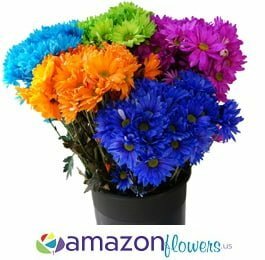 This allows the flower stem to drink up the colored water tinting the bloom to the desired color. 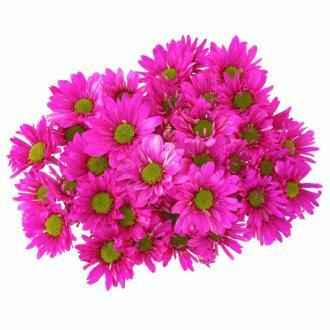 The tint will not rub off from the surface of the petals. 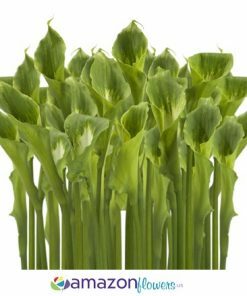 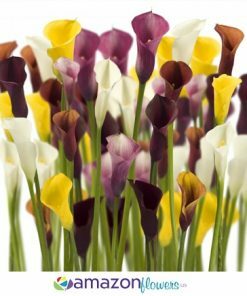 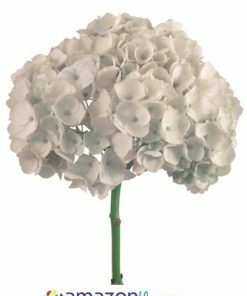 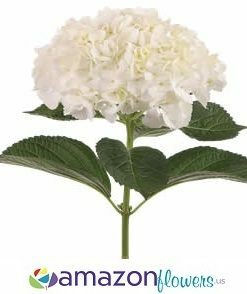 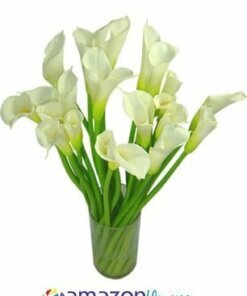 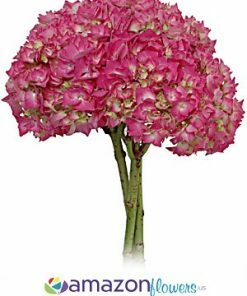 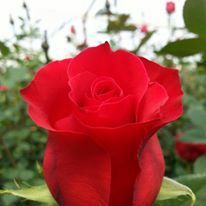 However, the color may seep from: where stems are cut, leaves are removed from the stem, or flower petals that are torn especially when wet. 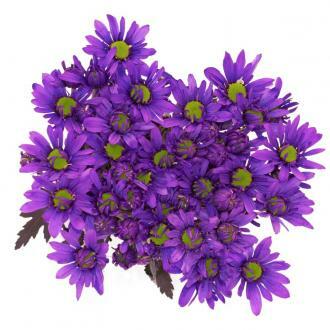 This may temporarily stains hands, so wear gloves when processing and designing with these blooms. 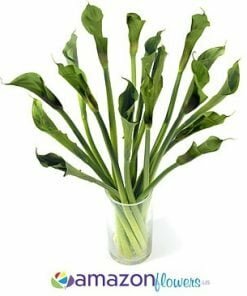 This dye most likely will stain clothing. 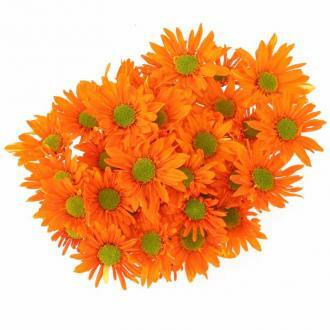 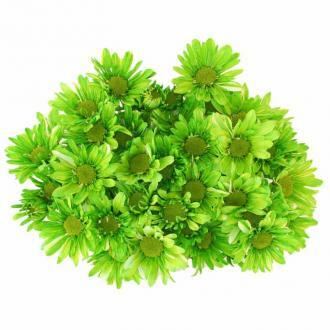 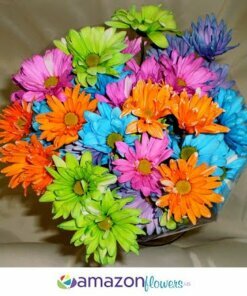 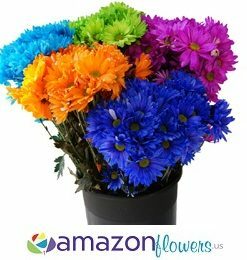 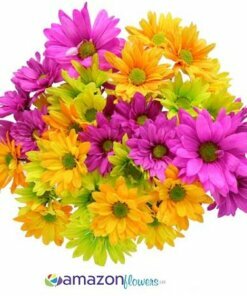 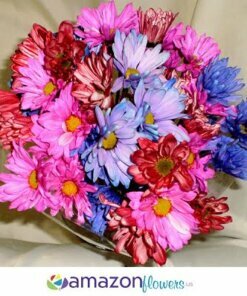 Tinted Daisies are shipped with 8 to 10 stems per bunch and are bundled together by a rubber band and placed in a clear plastic sleeve. 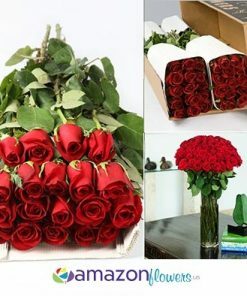 Average stem length is a minimum of 23 inches and a maximum of 28 inches. 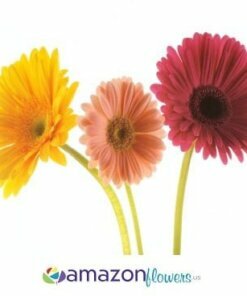 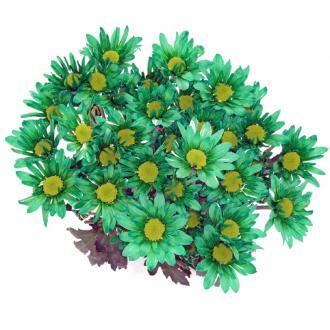 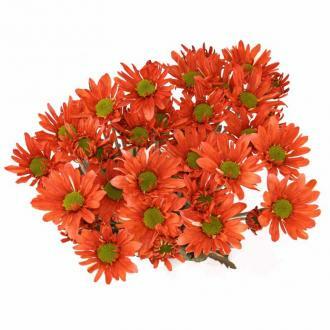 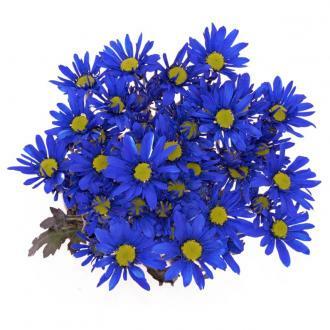 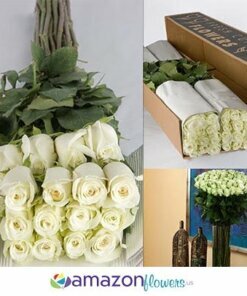 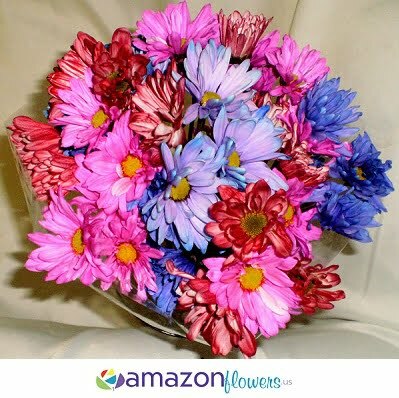 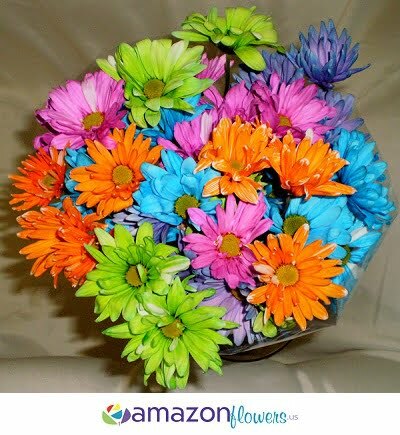 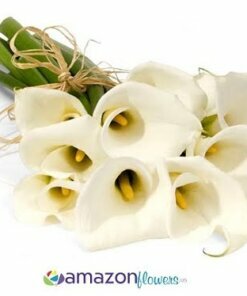 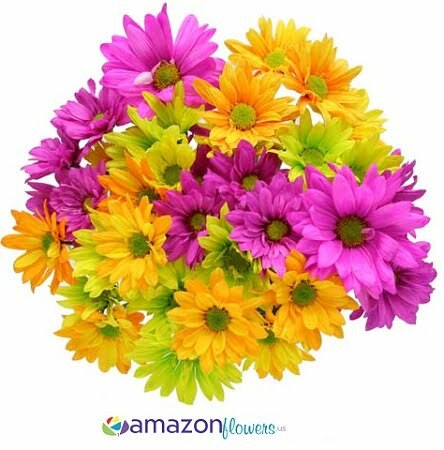 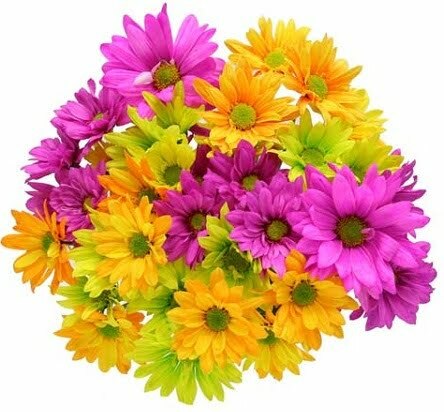 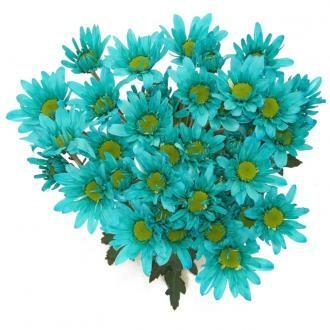 All Tinted Daisy Flowers and Tinted Flowers will perfectly suit your expectations.